Electric Motors and Drives is intended for non-specialist users of electric motors and drives, filling the gap between theory-based academic textbooks and the more prosaic 'handbooks', which provide useful detail but little opportunity for the development of real insight and understanding. 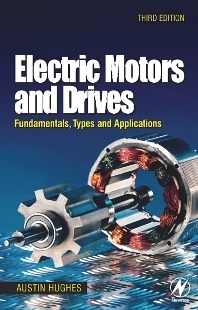 The book explores all of the widely-used modern types of motor and drive, including conventional and brushless D.C., induction motors and servo drives, providing readers with the knowledge to select the right technology for a given job. Austin Hughes' approach, using a minimum of maths, has established Electric Motors and Drives as a leading guide for engineers, and the key to a complex subject for a wider readership, including technicians, managers and students. Austin Hughes was a long-time member of the innovative motors and drives research team at the University of Leeds, UK, and has established a reputation for an informal style that opens up complex subjects to a wide readership, including students and managers as well as technicians and engineers.